Boris Gelfand might have suffered a defeat at the hands of defending champion Viswanathan Anand in the eighth round of the ongoing World Chess Championship in Moscow, but the Israeli Grandmaster's wife, Maya is confident about her husband's triumph against his Indian opponent. "I disregard other people's opinions. 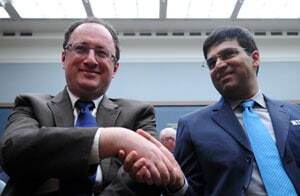 I know he can win," Maya said after Gelfand lost to Anand to level the scores at 4-4 in the 12-games encounter. "Boris is focused, he is very tense, he is gathering all his strength. 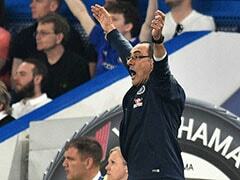 He has no time for excitement, it is time to work," she told news portal 'Ynet'. Meanwhile, a lot of Israelis have gathered in Moscow to show their support Gelfand, even though chess is not among the popular sports in the country. A lot of amateur and professional chess players as well as chess enthusiasts have also gathered in the centre of Israel to watch the match. Israel Chess Association's chairman, Almog Burnstein, is scheduled to leave for Moscow this week to witness the final stages of the championship and provide moral support to Gelfand, who is trying to dislodge Anand as world's leading chess player.